Last week, I taught the image-mining portion of the Images and Texts in Medical History workshop at the National Library of Medicine. I am far from an expert on OpenCV, the open-source computer-vision library. But as usual, that didn’t stop me from attempting to teach it. Ben Schmidt taught the text-mining portion of the workshop, and his materials are really great. His handouts in particular are concise, opinionated rundowns of the strengths and weaknesses of various forms of text analysis. The process of getting the VM installed on participants’ own computers was … complicated. We learned many things about Vagrant and VirtualBox, including the fact that Windows 7 and 8 don’t come with any way to handle SSH. It was definitely the most technically complex workshop either of us have attempted (to a group of about 50!!). It was definitely not hitch-free, but it was really satisfying to see participants get excited about computer vision, and to talk about ways they might use these techniques in their own research. 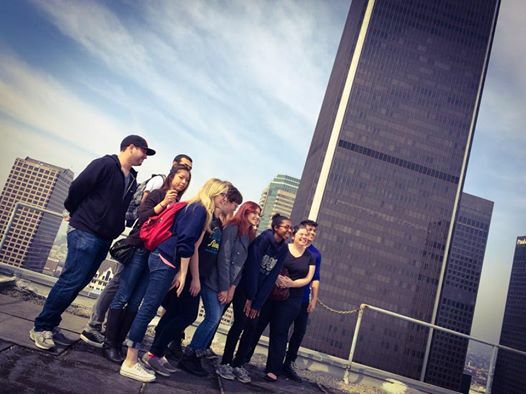 My DH101 class this year was my biggest yet, with 45 undergrads. I suppose that’s not huge compared with many other classes, but DH101 is very hands-on. I am fortunate enough to have a TA, the awesome Francesca Albrezzi, who runs separate weekly labs. 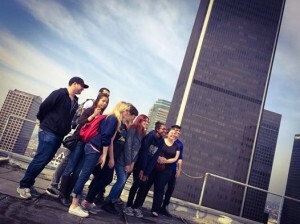 Still, I often have to teach students to do technical things in a large-group setting, and the size of the class this year prompted me to rethink how I do this. As I see it, many of my students’ biggest problem with computers is their own anxiety. Obviously, I have a self-selecting group, since I teach a class with “digital” in the title, but even so, many of my students tell me that they are just “not technical.” Many of them are so convinced of this that they see any failure to get something to work as confirmation of what they already knew: they’re just not good with computers. And since this is UCLA, the vast majority of my students do not fit the stereotype of the Silicon Valley programmer. This is awesome for the class, since we have so many different voices in the room. But it also puts many of my students at risk for stereotype threat, in which students’ performance suffers because they fear their mistakes will be seen as representative of their entire race or gender. I’ve seen a version of this happen in workshops countless times. The instructor issues directions while students try to keep up at each step. 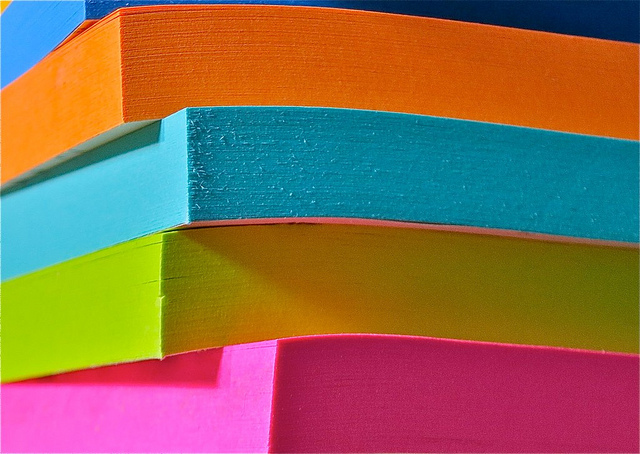 Some students accomplish each step quickly, but some students take a little longer to find the right menu item or remember where they’ve saved a file. No matter how often you tell students to please interrupt or raise a hand if they need help, most students won’t do this. They don’t want to slow everyone else down with what they’re sure is a stupid question. Eventually, these students stop trying to follow along, and the workshop becomes, in their minds, further evidence that they’re not cut out for this. 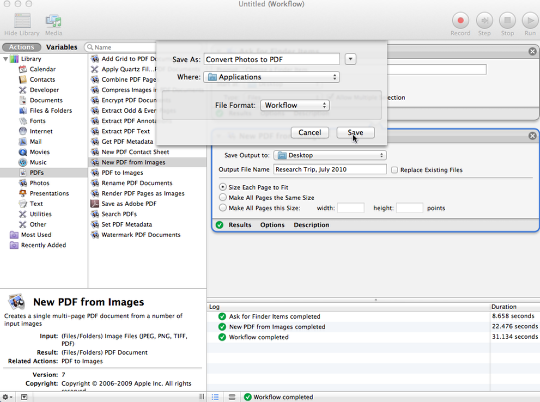 By request, these are updated instructions for using your Mac to combine your research photos into a PDF. 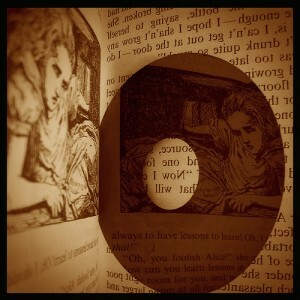 For more on digital research workflows, see here, here, and here. If you have a Mac, you own a robot! 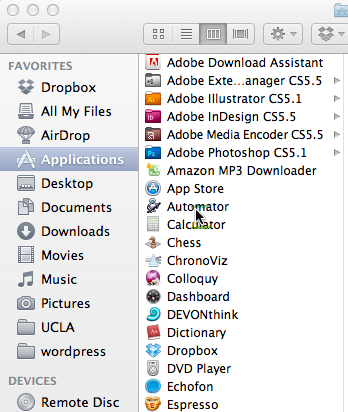 It’s called Automator and it lives in your Applications folder. 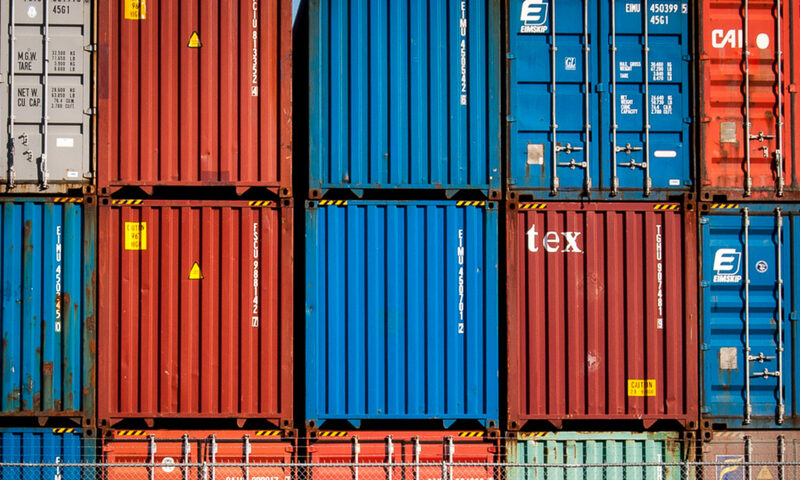 It does pretty much what the name implies: It bundles little actions and makes them easy to repeat and perform on a lot of files. 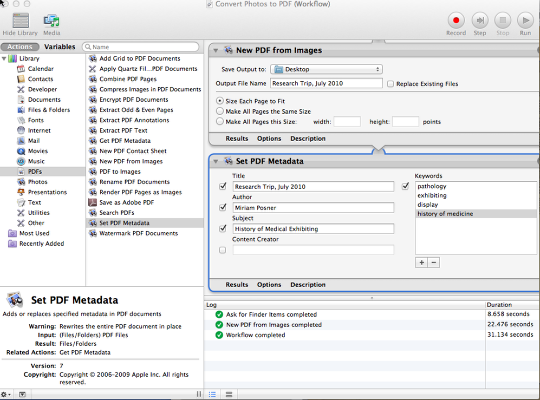 Here, I’ll show you how to use Automator to combine a bunch of research photos into one PDF. It lives in your Applications folder. 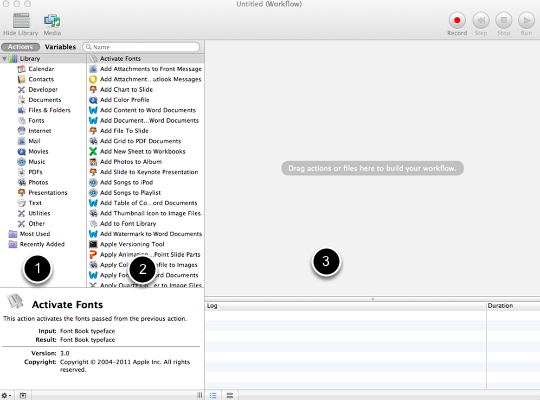 The Automator interface is actually pretty simple. The far left pane (1) contains categories of actions you might want to run. The second pane (2) contains the actions themselves: things like “Add Songs to Playlist” and “Combine Excel Files.” You can assemble actions into sequences by dragging them from pane 2 into pane 3, in the order you want to run them. So, really, not too complicated! First, you need a way to feed Automator the files you want it to alter. 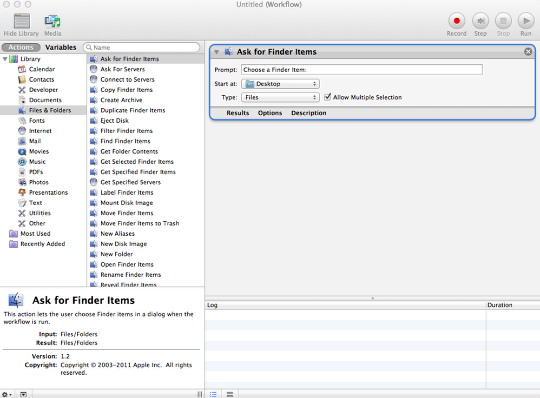 Under the Files and Folders category in pane 1, find the Ask for Finder Items action in pane 2 and drag it into pane 3. This means that the first thing that Automator will do is ask you which files you want it to modify. Because you’ll be modifying multiple files, check the Allow Multiple Selction box. 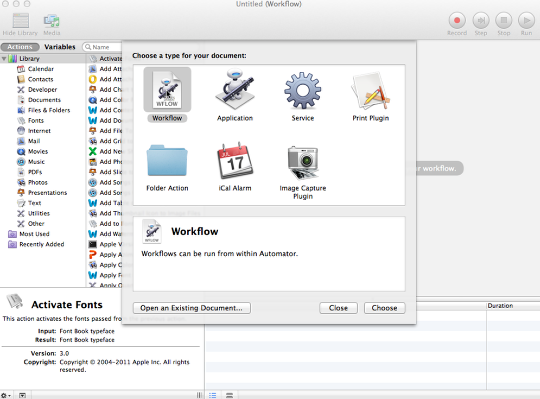 Happily, the latest version of Automator comes with an action that does exactly what we want! 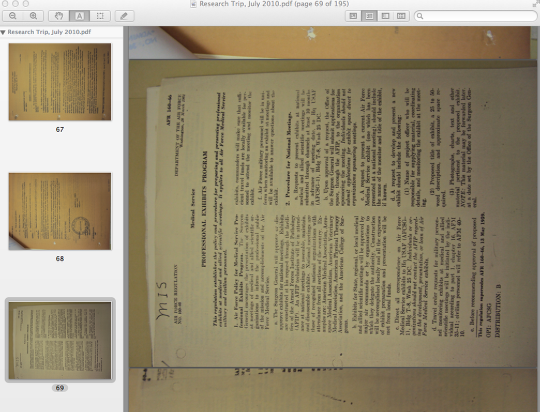 Under the PDFs category in pane 1, you’ll find an action called New PDF from Images. Select it and drag it into pane 3. In the Output File Name box, call it something that makes sense to you. 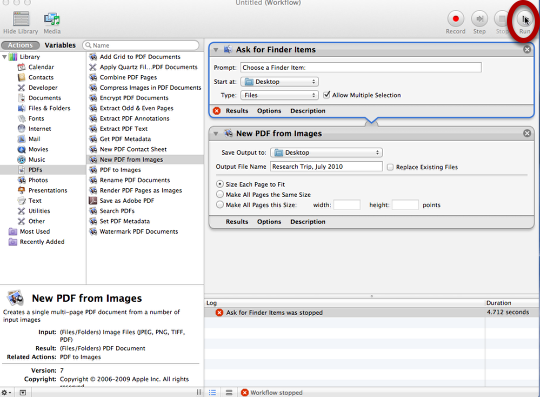 You can even tell Automator where to save your new PDF, if you want. Click on the Run button, which you’ll find in the top right-hand corner of your Automator window. Automator will ask you to select the photos you want to modify (hold down Command-A to select all the photos in a folder) and then it’ll run your actions! You’ve got one big PDF! Unless you specified a different place to save it, your big PDF should be waiting for you on your desktop, simple as that. Cool, huh? Since you’ll probably want to do this again, select File, then Save, so you can perform these actions again later. You can save it as a Workflow, or, if you don’t want to have to open up Automator every time you perform your action, you can save it as an Application. Automator does a lot of cool stuff, and it’s fun to just play around with it. 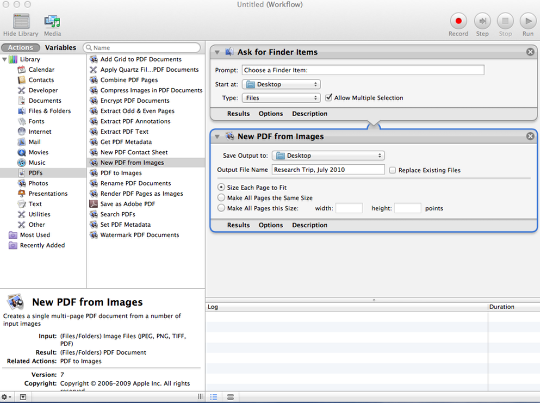 For example, you can make your PDF easier to find with Spotlight by using the Set PDF Metadata action (in the PDFs category). Give it a shot! You won’t break anything.